Facebook caught a lot of flack for divesting Messenger from its app a few months back, but that apparently was not enough to deter the company from doing more of the same. 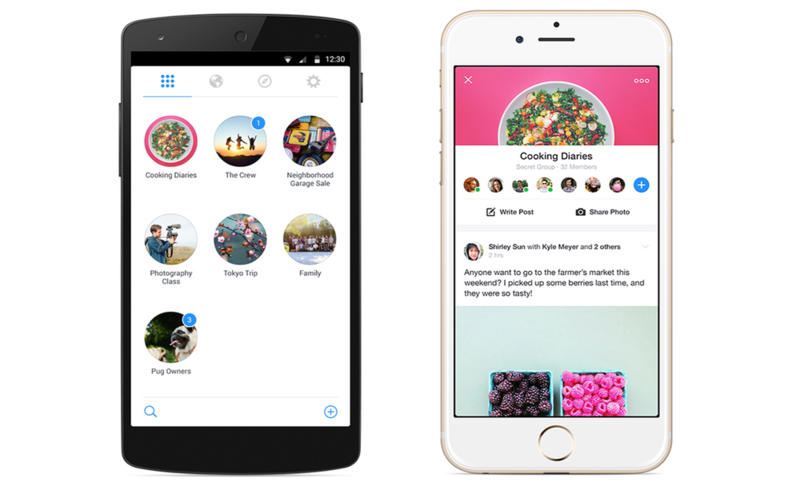 Today, Facebook announced a standalone Groups app. In a blog post, Facebook says it simplifies how groups work. All of your memberships are prominently displayed on one screen, ordered by the frequency of visits. Existing groups can be switched between with a swipe, and new ones quickly created with a dedicated button. Finally, a Discover tab suggests groups based on Pages you have liked, groups you and your friends belong to, and other profile information. Whether you buy Zuckerberg’s argument or not, trying out improved groups will obviously require a download. No functionality is being removed from the Facebook app yet, but we would not be surprised to see things change in the future. The app will go live on Google Play sometime today. Update: The app is now live. Download here.